All things Korean seem to be very much in vogue right now, particularly music. 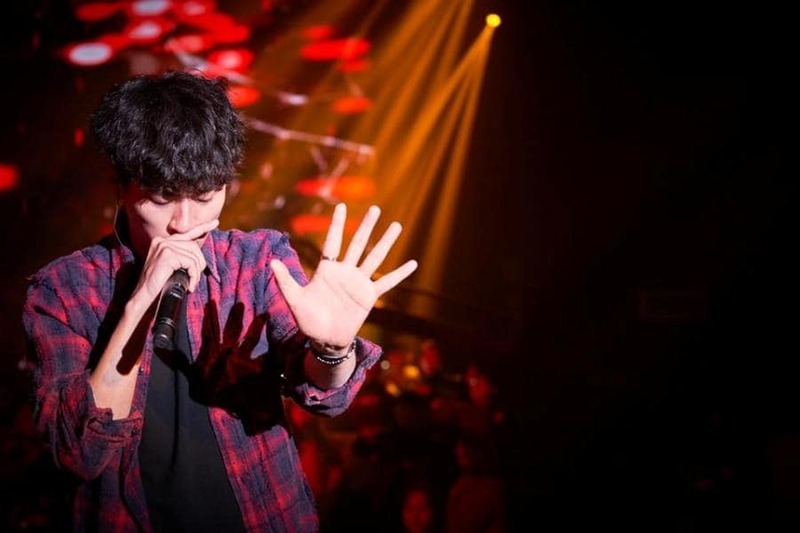 Lee Joon-ik’s latest feature “Sunset in my Hometown” tells the story of a rapper in Seoul aspiring to win a TV talent show, but something is always holding him back. A trip home takes him back to his roots and ends up solving the roots of his problems. Seoul-based rapper Hak-soo (Park Jung-min) is appearing on TV talent show “Show me the Money” for the sixth straight year. Despite some talent, he always struggles to get over the final hurdles; something always lacking a little in his performance. After another failure – stumbling when having to freestyle about his mother who died of cancer – he receives a phone call from the hospital in his hometown of Buan informing him that his estranged father (Jang Hang-sun) has had a stroke. On arrival, he finds that the call was made by former classmate (and long-term admirer) Seon-mi (Kim Go-eun). Finding his father has only had a minor stroke and is seemingly okay, he frustratedly aims to return to Seoul and his low-level jobs and failing music career. But, as ever, small town ways keep the boy from the big city trapped. Wrongfully arrested, he is forced to stay in Buan while still under investigation. As such, various characters from his past – friends and enemies – catch-up with the former bully who moved to Seoul with dreams of stardom, and highlight where he’s going wrong. It’s fair to say that “Sunset in my Hometown” features many of the cliches when big city boys and girls return to their small hometowns. Everyone knows everyone in Buan and everyone seems out to get him, keen to prove themselves big shots that know better and show they don’t give a damn about his minor fame. As such, character motivations seem a little beyond belief. Hak-soo rolls over and lets the boy he bullied – now an adult gangster – Yong-dae (Go Joon) walk all over him without much coercion. Mi-kyeong (Shin Hyeon-bin), Hak-soo’s former crush, also seems quite happy to flirt, and more, with any man who offers. Seon-mi, also nursing her ill father in the same hospital room, now a promising writer, still holds a torch for Hak-soo after all these years, despite constantly criticising his behaviour and now supposedly more emotionally mature. Perhaps Lee, and writer Kim Sa-gyeom, are commenting on how little changes in small towns, in that all the characters seem stuck in their high school relationships, never moving on or progressing. Old crushes are rekindled and former grudges resurface. Hak-soo fractured relationship with his former gangster father is also something seemingly long forgotten, with all the emotional baggage that came with it brought back. In revisiting these old relationships, Hak-soo is able to relearn much about his past, making him more at ease with who he is in the present. Though this conclusion may be as repetitive as life in a small town. As he wanders and wonders, the soundtrack of Hak-soo’s future raps sum up the storyline and his emotional state. Happily, the music isn’t too bad, with good enough flow in the raps – though everyone in Buan seems to be a rapper. As the end credits suggest, “Sunset in my Hometown” doesn’t take itself too seriously; designed to entertain rather than be anything too thought provoking. More social comment could perhaps have been made as to the nature of TV talent shows – Hak-soo having enough emotional back story to be exploited. But that is not the focus here; and while there is some decent music, some good laughs and even some fisticuffs, perhaps a few too many cliches and melodrama make this a sunset a little bit cloudy.